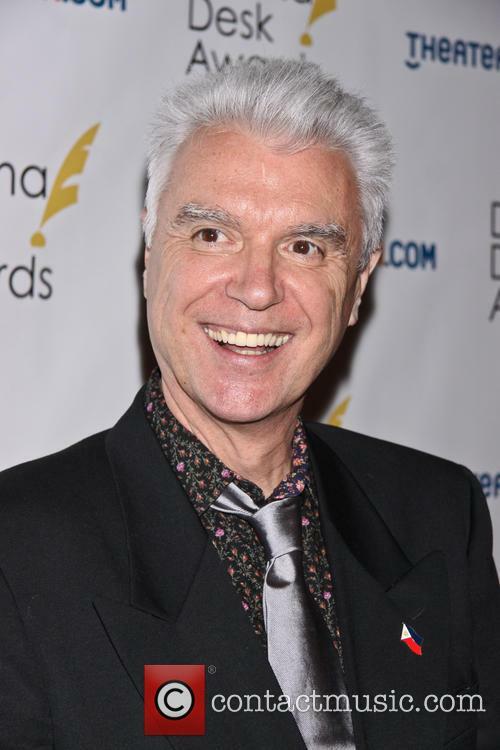 David Byrne is an American / Scottish musician and artist, best known as the singer / songwriter in the New Wave band Talking Heads. 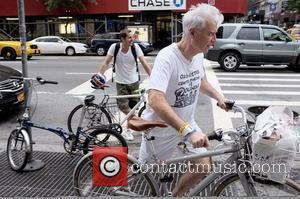 Childhood: David Byrne was born in Dumbarton in Scotland but moved to Canada two years later with his parents. When he was around eight years old, they moved again to Maryland. He attended Maryland Institute College of Art for one year. He also attended Rhode Island School of design for a year. 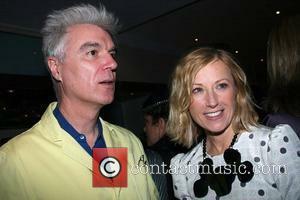 He dropped out and formed Talking Heads with fellow students Tina Weymouth and Chris Frantz. They were later joined by Jerry Harrison. 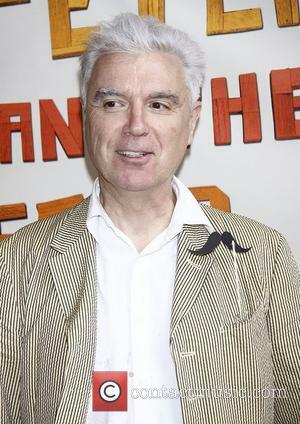 Life outside of Talking Heads: David Byrne has undertaken a large number of various artistic and musical projects that have earned him both respect and critical acclaim. In 1981, he worked with the choreographer Twyla Tharp on 'The Catherine Wheel', a ballet that undertook the use of unusual lyrics and rhythms. Productions of the piece appeared on Broadway. Byrne also produced a soundscape for the Belgian dance company Ultima Vez. The piece was entitled In Spite of Wishing and Wanting. 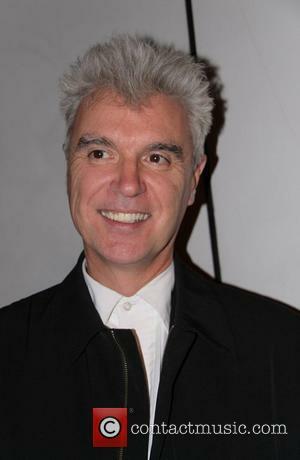 David Byrne has contributed a large volume of work for movie soundtracks, including his collaboration with Cong Su and Ryuichi Sakamato for The Last Emperor. The soundtrack won an Oscar for Best Original Score. He also released Lead Us Not Into Temptation (music from the film Young Adam) and directed True Stories, which was a collection of short musical collages, primarily featuring Americana-style music. He was also largely responsible for the stage design and the choreography in the popular Talking Heads film, Stop Making Sense. 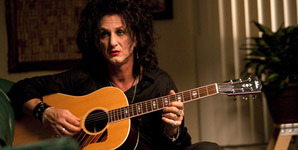 Byrne has worked with a number of different musicians, from a range of genres. He appeared as a guest vocalist with the band 10,000 Maniacs when they performed their MTV Unplugged concert. One of the tracks became a B-side for their 'Few and Far Between' single, though none of the tracks on which he featured were included in the resulting album. 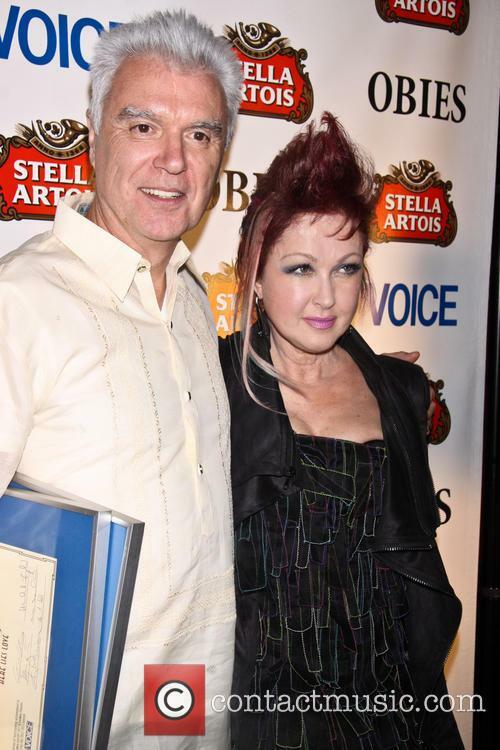 David Byrne also collaborated with the Tejano star Diva Selena, when he wrote, produced and sang on the track 'God's Child (Baila Conmigo)', from her Dreaming of You album; the last album released before her death. Perhaps Byrne's most notorious and influential collaboration was with Brian Eno on My Life in the Bush of Ghosts, released in 1981. The album was hailed as groundbreaking for its use of samples and was re-released in 2006, with bonus tracks. A new album by Byrne and Eno will be released in 2008. In 2002, Byrne's vocals were featured in the track 'Lazy' by X-Press 2. The single was a number two hit in the UK and reached number one in the US Dance Charts. 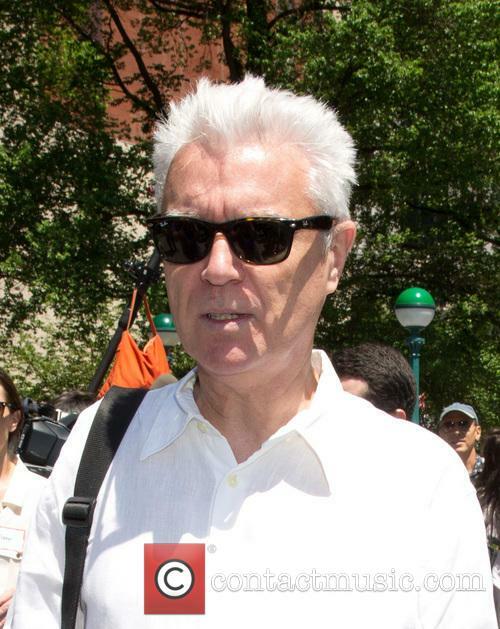 Byrne runs his own record label, Luaka Bop (which releases music by Cornershop, Jim White and Os Mutantes, among others) and his own internet radio station, Radio David Byrne. Byrne's art installations have been on display on numerous occasions; notably, in 2008, he and his band programmed the Battery Maritime Building in Manhattan so that it played music. He had previously done a similar installation in Stockholm. Personal Life: In 1987, Byrne wed the costume designer Adelle Lutz. Three years later, they had a daughter, Malu Abeni Valentine Byrne. In 2004, the couple were divorced. The former Talking Heads singer has added nine additional dates in the UK and Ireland for his 2018 tour. 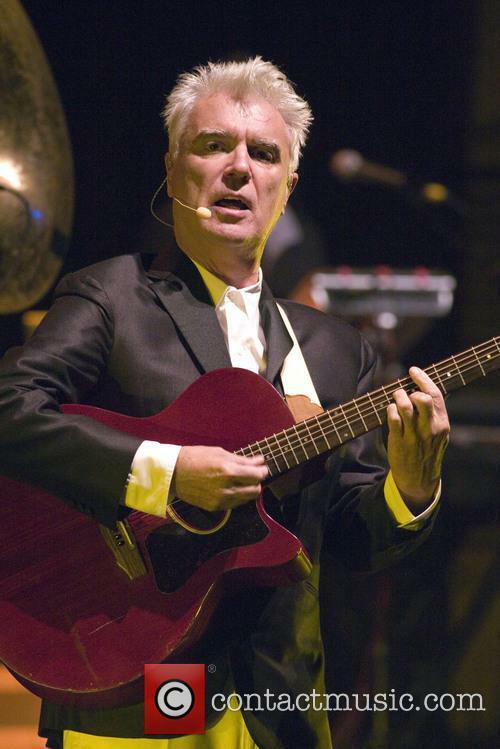 Alternative music icon David Byrne has announced a significant extension of his current British tour into October 2018, revealing nine new dates around the UK and Ireland in addition to the shows coming later this month. 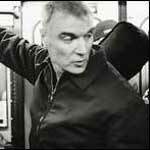 The former Talking Heads frontman released his latest solo album, and first in 14 years, in March this year, titled American Utopia. Back then, he announced a short run of half-a-dozen shows in Britain that are due to start this week on June 14th in Oxford. However, this week, the 66 year old star revealed nine additional dates around the British isles that will commence in October. The tour will now be taking in Leeds, Birmingham, Cardiff, Dublin, Brighton, Nottingham and an additional show at London’s O2 Arena. He's working on a positivity project called 'Reasons to be Cheerful'. 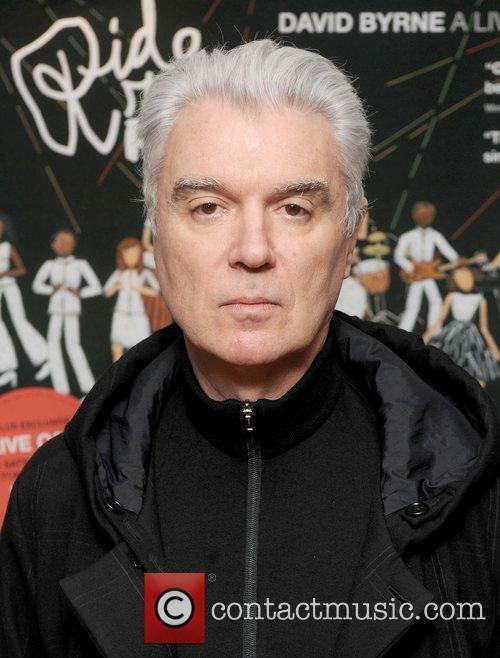 Former Talking Heads frontman David Byrne is set to drop his first solo album in 14 years, with 'American Utopia' due to be released this Spring. A sneak peek in the form of new single 'Everybody's Coming To My House' was released last week. With the help of Robert Edridge-Waks, he launched a minimalist animated video for the lead single, which he co-wrote with his longtime friend and collaborator Brian Eno. The song also features contributors the likes of Sampha, TTY and Isaiah Barr of Onyx Collective. The Talking Heads man will steer the ship in 2015. 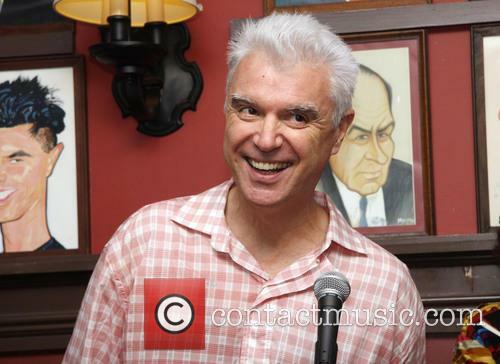 David Byrne, the British singer-songwriter and founder of Taking Heads, is to curate the 2015 Meltdown festival at the Southbank Centre though says he is still working on his "wish list" for who he invites to play the annual week-long event. Meltdown takes places from August 17-28 and Byrne says he anticipates putting together the bill as "puzzle-solving." The Red Bull Music Academy Festival has featured events across the city, including performances from David Byrne and lectures with D'Angelo, but it all culminates on Saturday 31st May, with the official closing party. Firstly, we recognise that reporting on a mixture of New York parties, eclectic performances and signature lectures from prominent music movers and shakers could seem, well, immaterial. Let's face it, Gotham is one long eclectic party - but the Red Bull Music Academy Festival is different. The Academy itself, which took place in New York in 2013 and will visit Tokyo this fall, is a travelling series of music performances, club nights, lectures, workshops, art installations and more founded in 1998 - it doesn't look to create "stars" (despite notable participants including Aloe Blacc, Flying Lotus, Hudson Mohawke and Juan Son), instead it looks to bring together music makers from around the globe. Think of it as a mobile behemoth of culture, skills and sound. 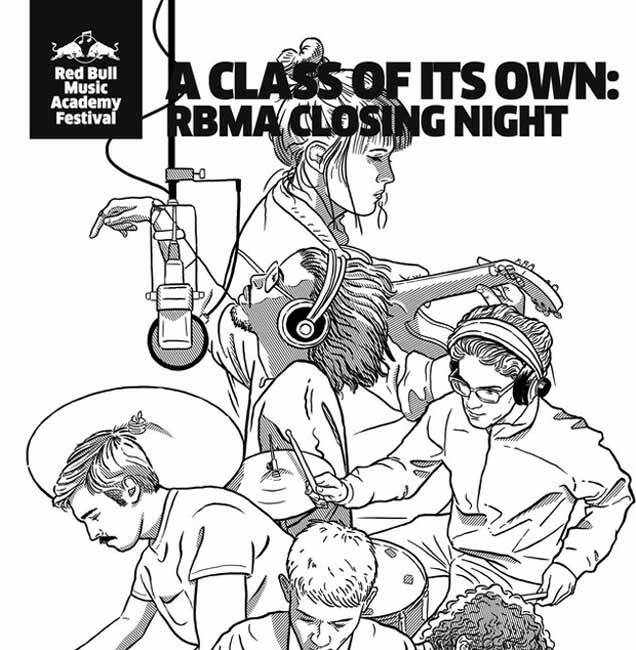 The newly created 'RBMA Festival ' - now taking place annually in New York City - is a legacy to the critically acclaimed Red Bull Music Academy that took place in New York in 2013. It is a month-long blowout that brings together a diverse group of the world's most creative young musicians. Since May 1st, this year's programme has blanketed the boroughs with a selection of richly curated events - and you're invited to the ultimate wrap party. But more on that soon. The show's boasts solid acting, well-designed sets and a spot-on soundtrack, courtesy of Fatboy Slim. David Byrne’s Here Lies Love is loud, glamorous and exposes the sins of a culture – what more could you ask for? The musical, now playing on the stage of the New York Public theatre, focuses on the life and excesses of Imelda Marcos, the shoe-crazed wife of ex-Philippine president Ferdinand Marcos. The parallels between this character and the imfamous Eva Peron are obvious – the influential wife of a dictator role is common to both – but the tone and style of Here Lies Love make the comparison to Evita an impossible one. First released as a double-disc 2010 song cycle album conceived by David Byrne, who wrote the lyrics, collaborating with virtuoso British DJ and recording artist Fatboy Slim (Norman Cook) on the music, the show was always intended for the stage, says The Guardian's Alexis Soloski. Now it receives the production it deserves, highliting the excesses of its characters in the extremely appropriate setting of the disco era. The show describes Imelda’s rise to wealth and power from her origins as a “simple country girl” to the wife and political partner of Ferdinand Marcos. It tracks the couple’s turbulent relationship, Imelda’s crucial role in Marcos’s election and her subsequent disillusionment with the relationship. Ruthie Ann Miles does a great job of portraying the many stages of Imelda’s life and overall, the musical offers a new, interesting and visually pleasing look at a well-known story. 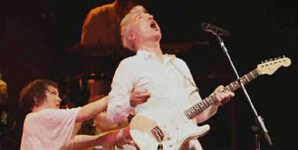 David Byrne and Brian Eno have collaborated on their first album for 27 years, entitled EVERYTHING THAT HAPPENS TODAY. The legendary TALKING HEADS frontman and renowned producer Eno have not worked together since 1981's LIFE IN THE BUSH OF GHOSTS. Strange Overtones  the first track taken from the record  will be available as a free download from August 4th, while the entire album is scheduled for release on August 18th. Byrne explained that they were brought back together after their first album was recently reissued. "I recall Brian mentioning that he had a lot of largely instrumental tracks he'd accumulated, and since, in his words, he 'hates writing words', I suggested I have a go at writing some words and tunes over a few of them, and we see what happens," he said. The pair are set to tour together from this Autumn, with Byrne saying that the gigs will be an attempt to link the new material "with what we did 30 years ago".